This bachelor's degree is intended for international students whose Chinese proficiency is above elementary level and who expect to improve their Chinese language, literature and culture. Graduates of this major are supposed to become Chinese professionals with high comprehensive qualities. The major requires four years of schooling. Students can be conferred a bachelor's degree and a diploma after completing the required courses with enough credits, passing the thesis oral defense, and holding an HSK certificate of Band 5 or above. Applicants shall be (1)18 or older, (2)have completed their senior high school education or qualified as senior middle school graduates, (3)healthy, (4)have no criminal record, (5)willing to abide by laws, regulations and rules of the PRC and Yunnan University, and (6)non-Chinese citizens with valid passports. Application time: March 1 to July 31 every year. Application procedure: Applicants can register on-site by themselves or their deputies, or by mailing all the application materials to the CIS before the deadline. The registration and mailing address: College of International Students of Yunnan University, No 2 North Cuihu Road, Kunming, Yunnan province, China (postal code: 650091). 1. 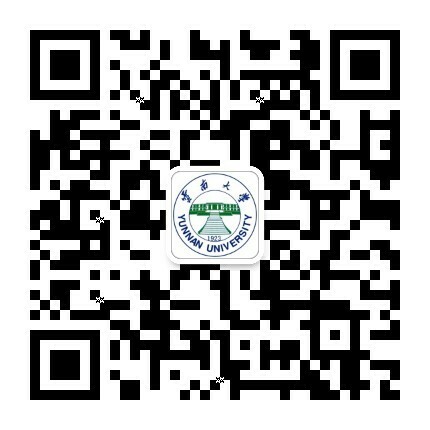 An Application Form for International Students to Yunnan University which can be downloaded at our website (http:// www.cis.ynu.edu.cn). The form needs to be filled out clearly and completely, with the applicant's passport photo on it. 2. The original or the notarized copy of the applicant's high school diploma. The proof of graduation is required when the applicant is still a high school student. 3. The original or the notarized copy of the applicant's high school transcript. 4. The applicant's HSK certificate of Band 3 or above. 5. A copy of the applicant's valid passport, and six passport photos. 6. Applicants who have a college degree or have engaged in advanced studies of Chinese shall provide the original or the notarized copy of their diploma or graduation certificate and transcript. 7. Documents which are proofs of the applicants' abilities in all aspects, such as Certificate of Award, recommendation is favorable for admission. *All the originals and the notarized copies mentioned above shall be in Chinese or English. Applicants who submitted all the application materials mentioned above and have qualified shall attend an entrance examination for international students. Subjects: Comprehensive Chinese; Overview of Chinese Culture. Results: The admission results will be published online (website: http://zsb.ynu.edu.cn/) and e-mailed to the admitted applicants. The Admission Notice will be posted to the applicant's address. Registration fees (only the newcomers are required to pay): 400 yuan per person. Tuition: 17,000 yuan per person per year.